Community leaders discuss the implementation of a Bonding Education Program. 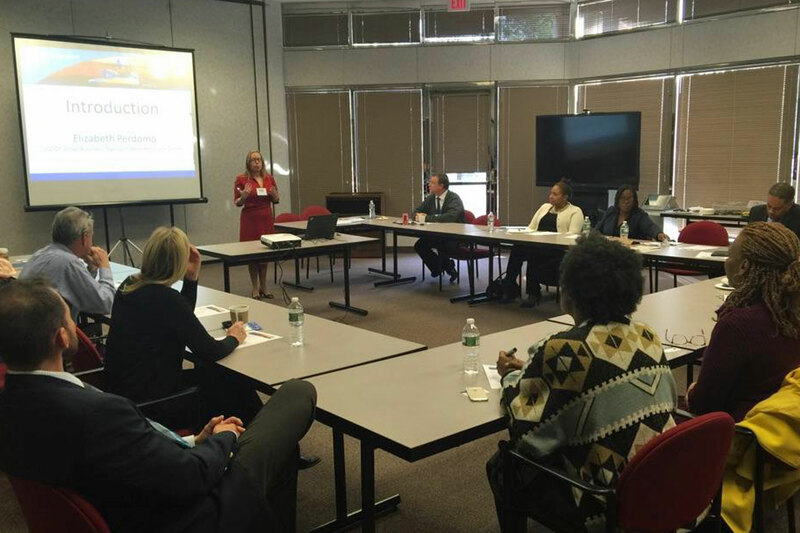 On Thursday I held a meeting along with local business and development organizations to discuss a proposed Bonding Education Program in Hartford. This program would help minority and women-owned businesses secure government contracts. The program would consist of classes and personal mentoring. I've partnered with the Northeast Small Business Transportation Resource Center, the Connecticut Business & Industry Association, the Hartford Economic Development Corporation, Nutmeg Planners, LLC, and Voices of Women of Color to help bring this program to Hartford. At the meeting, government officials, organizations, project developers, and business owners provided input on implementing a program that will best address the needs of small contractors. I'm hopeful that this program will help our local businesses grow!